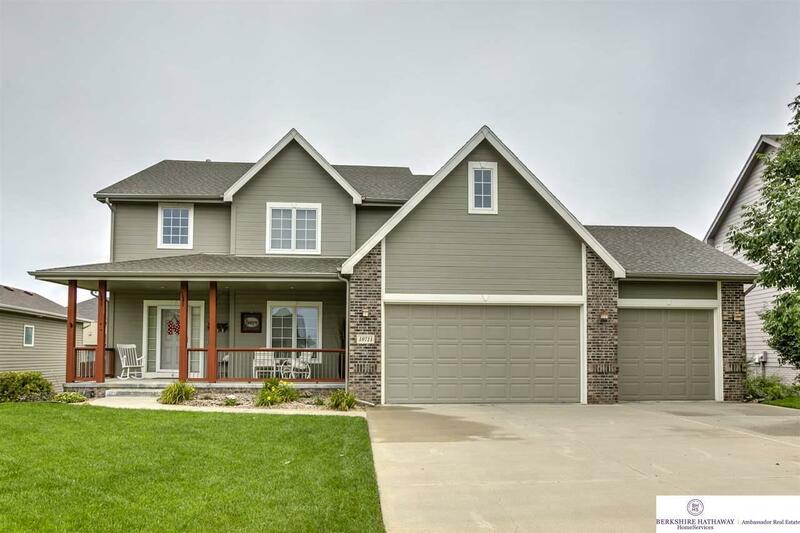 Magnificent Two-Story Walkout Backs to Walking Trail in Lincoln Place! Open and inviting floor plan features two-story entry, wood floors, fireplace, new interior paint (2018), and tall ceilings. Spacious Kitchen features maple cabinets (pull-outs), stainless steel appliances (new dishwasher), walk-in pantry, and XL island. Main floor has Flex Room/Dining Room, Laundry, and Â½ Bath off the garage. 2nd Level features 4 bedrooms plus loft space. Master Suite has tile floor, double sinks, whirlpool tub, walk-in tile shower, and walk-in closet. Two New Water Heaters (2015). Lower level has newly finished 3/4 Bath. West-facing, covered porch, brick accents, exterior paint (2015), fully fenced, and beautifully landscaped! GRETNA Schools! HOA Includes: Common Area Maint.